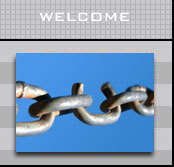 Welcome to Insurance Links, your complete source for property and casualty insurance claims resources. This Web site was created as a comprehensive and free source of information for all claims handlers. Use is free and unrestricted, and no membership or login is required. Link popularity is one of the top criteria for having your site rank high in most major search engines, so submit your site today. Companies that offer products and services to the PC claims market are encouraged to submit a link to their Web site. Claim handlers are encouraged to submit links to Web sites that they find valuable in some aspect of the claim handling process. This can be a link to a vendor, governmental agency, research/study, or any other such resource. *All links submissions will be reviewed for relevancy and content. Each day, we review over 500 news headlines, from around the world. We select stories that are of interest to claims handlers, and we update our newsroom daily with 3-5 of the most relevant stories. We encourage companies and individuals to submit relevant news stories for consideration. When it come to generating traffic for your Web site, content is king. Current, relevant content gives your clients a reason to visit your Web site often. Now, you can add dynamic, valuable content to your site for free. Our links and news headlines can be added to any Web site in minutes, and you never have to worry about updates... we do them for you!